Our mission is to provide learning opportunity for anyone anytime and anywhere. 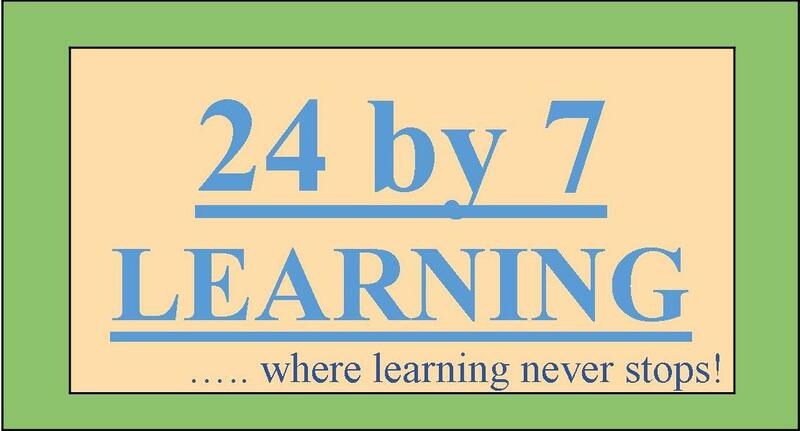 24by7learning.com offers instructional videos, practice problems, study guide (notes) and many more. A personalized learning dashboard which empowers our learners to study and learn at their own pace, anytime, anywhere. Right now, we provide courses in math, physics, chemistry and biology for grade 9 - 12. Our mission is to help our students not just to be successful in their daily classroom activities but to become an independent and life-long learner. Our goal is to help students globally to achieve their potential and overcome the learning obstacle. We all know that life is not easy but we are here to help. We want all students to be successful in their own ways and share their unique success stories. We want them to be proud of who they are and what they do. In 2014, it started with one teacher in Arizona, USA was sitting in a classroom going through the recently adopted district math curriculum. That teacher wanted to improve learning and instruction for students and help students as well as teacher. Now, we are diverse group of people both from USA and India constantly working to improve and provide world class environment of learning. We are small group of teachers, web developers, content specialists, and managers working tirelessly to make big and huge difference in our student's life. No matter who you are, what you want to be, we have something to offer all the students. Our mission is to provide learning for everyone, anyone. So, learn at your pace, anytime, anywhere. Our Team consists of educators from India and US. We believe in giving quality education to all students. We are group of hard working and motivated people, who are committed to help students.